Om Tae Chang is a South Korean luthier. Although he is well-known and highly regarded in other countries (Germany for instance), his guitars are rarely to be found in France. 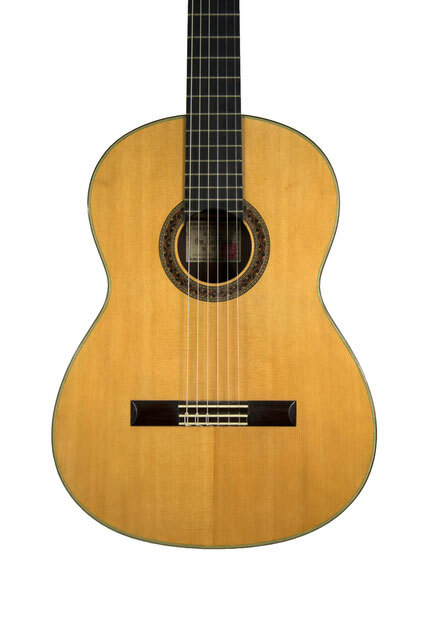 This beautiful guitar (see the superb rosette design) is well-made and very comfortable to play. The sound is powerful and well-balanced, with deep basses and clear and well-defined trebles. Such qualities make it particularly suitable for ancient music — while not in the least unsuitable for another repertoire!